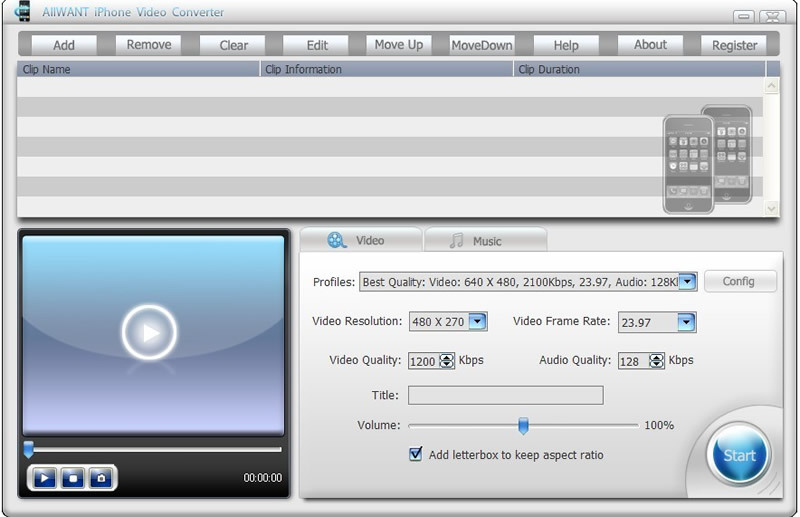 AllWant iPhone Video Converter transforms AVI, MPEG, WMV, DivX, AVCHD, MKV, RM, MOV, XviD, 3GP, MP4, H.264/AVC videos and MP3, WMA, WAV, RA, M4A, AAC, AC3, OGG audios to iPhone video and music. The transform speed is very fast. So, without any hesitation, try it and you will stand on the top of the fashion. It is very easy to use, users do not need to acquire specialized knowledge to use it.